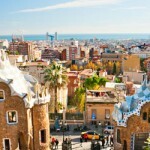 Spain is one of the main tourist destinations in the world thanks to the many attractions of our country. Apart from having a very good climate of sun and beach inviting travelers from all over the world want to enjoy, leisure activities and impressive cuisine are incentives to make the tourism of this constant along the different seasons of the year. In order to be able to visit all interest points in this country, the best option you will have is the possibility of utilizing our rental car comparator, as Pepecar puts at its clients' disposal the best car hire prices on the market. 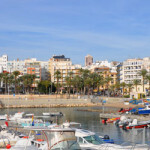 Spain is known for its thousands of kilometers of coastline and beaches, its paradisiacal islands, its excellent cuisine, and its great climate. Many are the domestic or international sun-seeking tourists landing at any of the cities from Spain to discover the cultural emergence of hundreds of years of comings and goings of different civilizations. The cultural contribution of each one of these civilizations is unique and can be found in very few countries all over the globe. Therefore, historic vestiges are found from north to south, and from east to west, such as those imprinted by the Romans or the Arabs during the period of time they conquered the Iberian Peninsula. In this sense, it could be said that Spain is the second country with the biggest amount of cities and tourist locations having been declared World Heritage Site, or the country that has more Blue Flag beaches around the Northern Hemisphere. Autonomous communities that receive more tourists are Cataluña, Canary Islands, Balearic Islands, Andalucía, Valencia, and Madrid. For tourists coming to Spain - and for those who are from this country as well -, having the option to utilize a rental car comparator which allows to reserve the car you like the most is an incredible advantage. In fact, you will have the possibility to make the most of your time and visit many more places than with the public transport. Another strength of Spain is its recognition for its great cuisine from around the world. The Spanish diet is balanced and varied, apart from having very high-quality products to produce incredibly tasty dishes. Some of the ways to taste our typical Spanish foods, as for example tapas, have become very popular and widespread in other countries. Some of the key products in Spanish cuisine are olive oil, cheese, Serrano ham, wine, and cider. All of them are recognized all over the world. Undoubtedly, it is worth touring this wonderful country which offers a mix of cultures with a rich historical past, and that today, it can be seen in the contrast between the north, with Viking background, and south, with an Arab background. Whatever your destination and reason for visiting a city in Spain may be, complete your trip with a rental car reserved at the best price through the car hire search engine of Pepecar. Pepecar offers you the possibility to reserve online your car hire to pick up and return in hundreds of destinations all over the country. And, most incredibly is the fact that we allow you to cancel your reservation up to 24 hours before the pickup. Are you looking to rent a van in Barcelona? You can find everything you could possibly need in a pickup van at pepecar.com. Apart from the three localities from Spain mentioned before, we also have rental car offices in cities as Fuerteventura, Gran Canaria, Granada, Car hire Ibiza, Lanzarote, Car & Van hire Madrid, Car hire Majorca, Car hire Malaga, Menorca, Murcia, Tenerife Valencia.